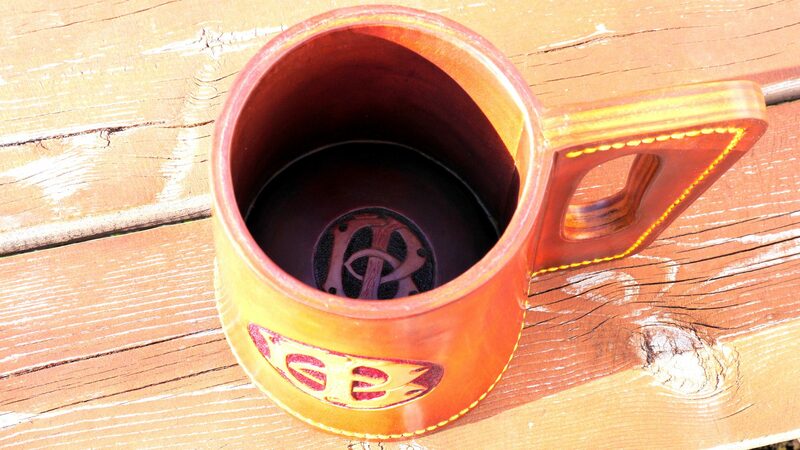 Leather tankard. 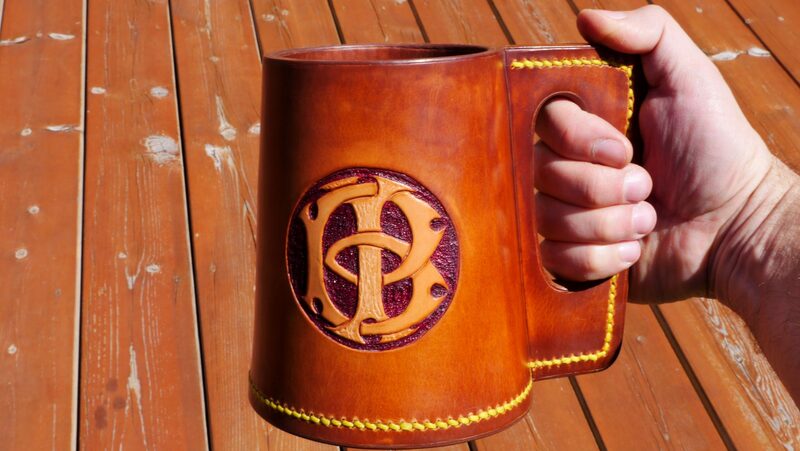 The initials are carved and tooled on the tankard to show others the owner’s monogram. 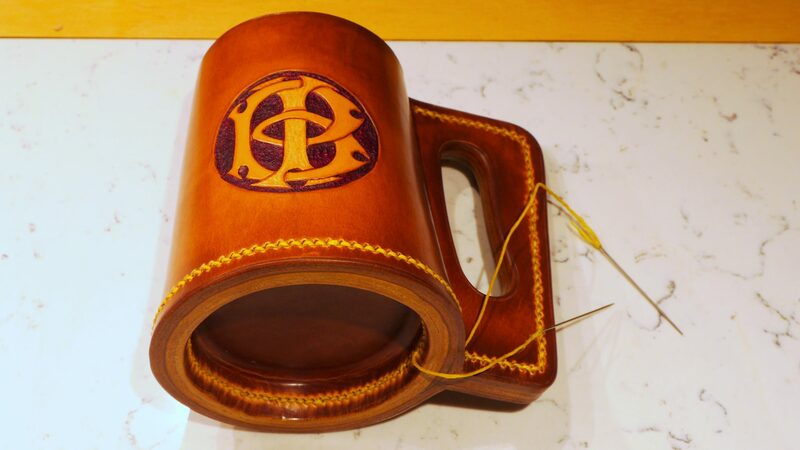 Another set of initials is carved on the bottom inside the tankard – to remind the owner his name after too many beers. 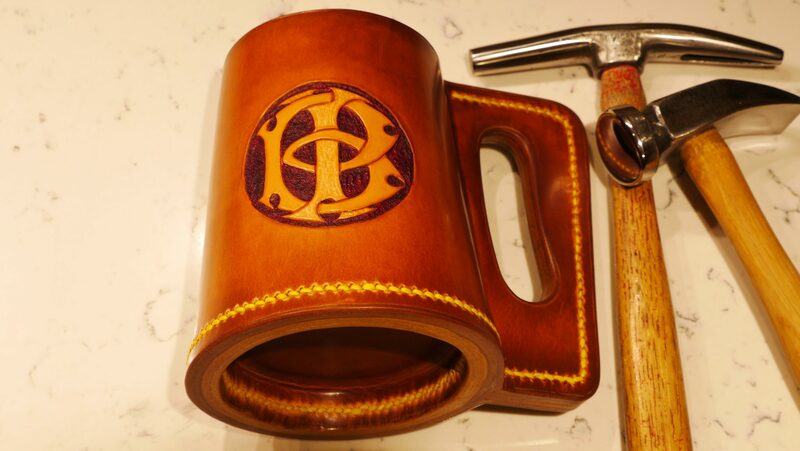 The tankard is treated with beeswax inside and outside. 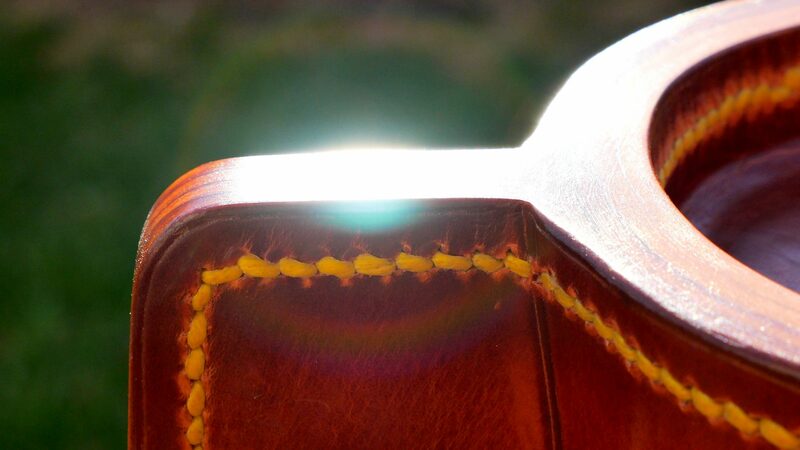 Saddle stitched with 1.3 mm (0.050″) waxed Maine thread. The edges sanded with grit 80, 220, 400, 600 and 1000 sandpapers, hardened with shellac between each sanding, then covered with Atom Wax for the waterproofing. 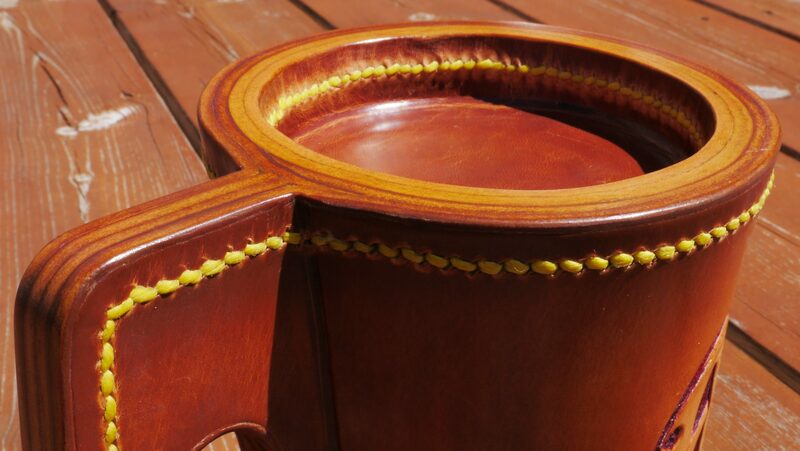 The top edge is wax treated. A special iron was created to melt the wax in the hard reachable areas at the round bottom seam inside the tankard. 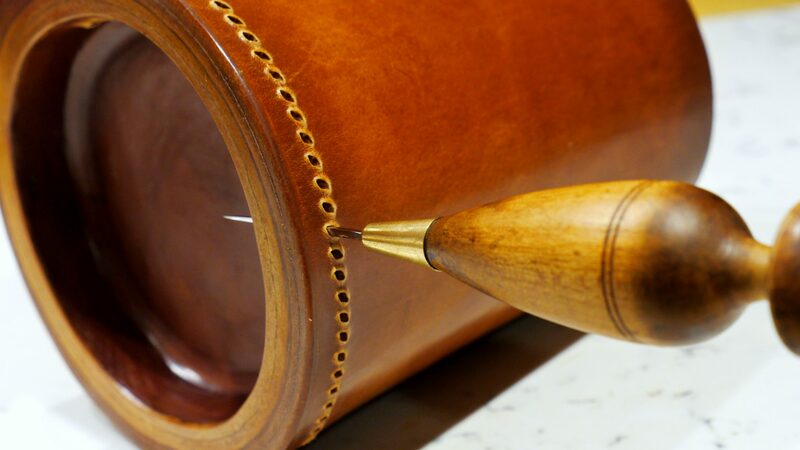 Comments Off on Leather bag, just leather.